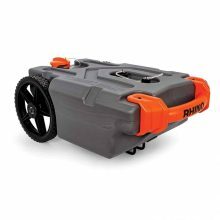 The Camco 39002 Rhino Portable RV Holding Tank allows you to easily empty your gray and black waste tanks and transport to a dump station without ever having to move your RV or trailer. 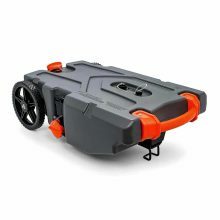 Heavy-duty no flat wheels with bearings allow for smooth transporting even over the toughest terrain. Rolls easily like a suitcase. Heavy-duty oversized handle for easy pulling, towing or lifting. Can be towed using a golf cart or other vehicle at slow speed. Inside of the tank is sloped toward the drain hole for easy emptying. Backflow preventer and multi-directional spray help clean the tank’s interior walls. Smooth interior won’t trap odors or debris. Includes everything needed to clean, maintain and store your portable holding tank when not in use. Built-in ladder hook allows you to clamp to your RV or camper ladder when not being used. The tank is built from durable blow molded, UV stabilized HDPE (high-density polyethylene). Distance from top of the fill port to the ground: 12.5″. Base dimensions of front foot/ladder hook: 5″ x 3″. Dimensions (without wheels): 36.5″ x 20″ x 9.5″. 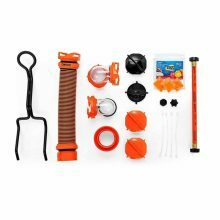 Includes a 3 ft RhinoExtreme sewer hose with bayonet and lug fittings, a 15″ water hose rinse adapter, a clear elbow with 4 in 1 adapter, a clear double bayonet elbow, 3 storage caps, and 2 caps with lanyards for rinse connections, steel tow adapter, and TST orange drop-ins. 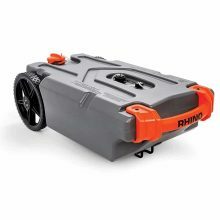 The Camco 39004 Rhino Portable RV Holding Tank allows you to easily empty your gray and black waste tanks and transport to a dump station without ever having to move your RV or trailer. Easily emptied using a built-in gate valve. 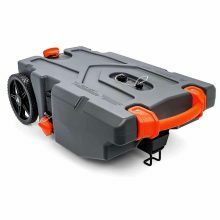 The Camco 39006 Rhino Portable RV Holding Tank allows you to easily empty your gray and black waste tanks and transport to a dump station without ever having to move your RV or trailer. Distance from top of the fill port to the ground: 14″. 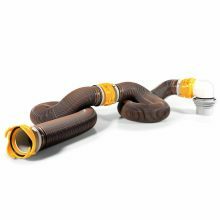 Camco RV 45 Degree Hose Adapter Sewer Fitting is used to connect your sewer hose to the RV. 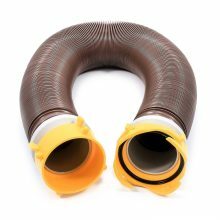 45 degree angled fitting allows more room to connect sewer hose to fitting in tight spaces. Allows fluid to only flow in one direction. 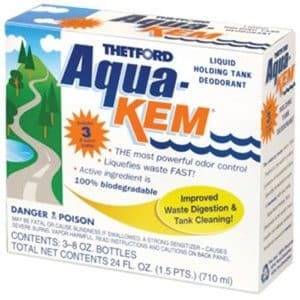 Prevents back flow. The Camco 10′ Revolution RV Swivel Sewer Hose Kit contains everything you need for a quick, reliable hook-up. Features pre-attached fittings that rotate 360 degrees. 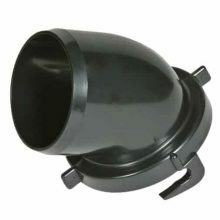 Camco’s Revolution RV Sewer Lug Fitting is designed with easy-grip wings for a quick connect and disconnect. It includes a Twist-It Clamp that secures the hose for an odor tight connection. The lug fitting swivels 360 degrees for ease of use. It connects to any bayonet style fitting. 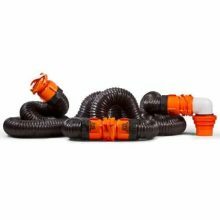 Camco’s Revolution 20-foot RV Sewer Hose Kit with Revolution Hose and Swivel Fittings is a ready-to-use kit with two 10-foot hose assemblies. The hoses are made of heavy duty HTS vinyl. This kit features two sections each with a lug fitting and bayonet fitting with four prongs for a more secure fit. 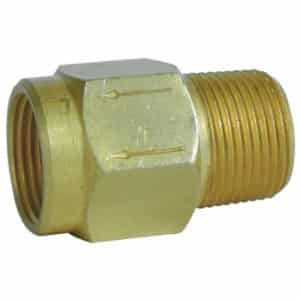 Included is a translucent elbow with an easily detachable 4-in-1 adapter for connecting to 3-inch slip or 3-inch, 3-1/2-inch and 4-inch NPT threaded sewer connection. The fittings swivel 360 degrees for easy connecting. The hose and fittings compress for storage, and once the 4-in-1 adapter is removed you can store the hose in standard 4-inch square bumpers. The Revolution 20-foot sewer hose kit features two 10-foot hose assemblies each with a lug fitting and a bayonet fitting. Secure the two hoses together, lug end to bayonet end. If you only need 10 feet of sewer hose, you can use just one of the hose assemblies. Together, the hose assemblies extend up to 20-foot from your RV to the dump station. The 4-in-1 adapter fits any standard sewer connection and secures to your hose, eliminating the need for weights to keep it in place. The translucent elbow allows you to see when your tank is empty. When you are finished emptying your tanks and have rinsed out your hose, simply store in your 4-inch square or larger bumper. If you ever need to replace your hose, the swivel fittings are detachable and can be used on a new hose with the addition of a clamp. 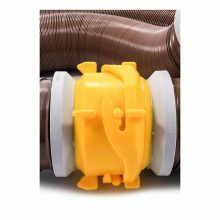 Camco RhinoEXTREME RV Sewer Hose Kit – 15′ will not dent or ruse and will not crush if accidentally stepped on. The sewer hose offers superior abrasion resistance for maximum protection against pinholes and leaks. This hose has been successfully tested down to -40°F. The removable 4-in-1 adapter allows you to store in 4 ft square bumpers. 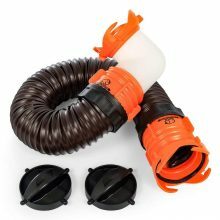 Camco’s RhinoFLEX 20-foot RV Sewer Hose Kit with RhinoFlex Hose and Swivel Fittings is a ready-to-use kit made with the toughest hose you can buy. The two hoses are made of sturdy polyolefin and are reinforced with steel wire. They are collapsible, and you only have to extend as much hose as you need. This kit features bayonet fittings with four prongs for a more secure fit. 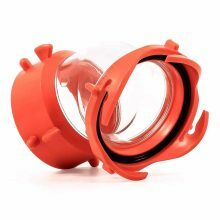 Included is a translucent elbow with an easily detachable 4-in-1 adapter for connecting to 3-inch slip or 3-inch, 3-1/2-inch and 4-inch NPT threaded sewer connection. The fittings swivel and feature reusable locking rings so that fittings can be moved to a new RhinoFLEX hose if needed. The kit also includes a storage cap for each end. The hose and fittings compress for storage, and once the 4-in-1 adapter is removed you can store the hose in standard 4-inch square bumpers. The RhinoFLEX 20’ sewer hose kit features two 10-foot hose assemblies with lug fittings and bayonet-style fittings that connect securely onto your sewer outlet, plus locking rings to ensure a secure fitting. Secure the two hoses together, lug end to bayonet end. If you only need 10 feet of sewer hose, you can use just one of the hose assemblies. 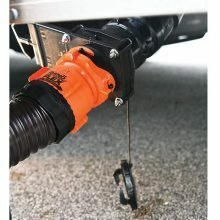 The collapsible hose assembly extends up to 20 feet from your RV to the dump station, and the steel wire allows you to shape the hoses so that they will stay put. The 4-in-1 adapter fits any sewer connection and secures to your hose, eliminating the need for weights to keep it in place. The translucent elbow allows you to see when your tank is empty. When you are finished emptying your tanks and have rinsed out your hose, simply collapse the two hoses, secure the end caps into place to prevent unwanted dripping and store in your 4-inch square or larger bumper. If you ever need to replace your hose, the swivel fittings and locking rings are detachable and can be used again and again. 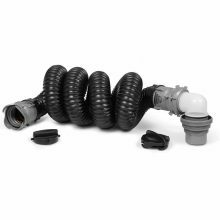 Camco’s RhinoFLEX 15 foot RV Sewer Hose Kit with RhinoFlex Hose and Swivel Fittings is a ready-to-use kit made with the toughest hose you can buy. The sturdy polyolefin is reinforced with steel wire for an ultra-tough hose. It is also collapsible, so you only have to extend as much hose as you need. This kit features a bayonet fitting with four prongs for a more secure fit. 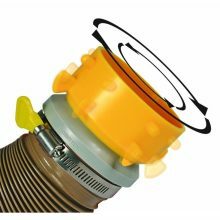 At the dump-station end we’ve added a translucent elbow with an easily detachable 4-in-1 adapter for connecting to 3-inch slip or 3-inch, 3-1/2-inch and 4-inch NPT threaded sewer connection. The fittings swivel and feature reusable locking rings so that fittings can be moved to a new RhinoFLEX hose if needed. The kit also includes a storage cap for each end. The hose and fittings compress to 56 inches for storage and once the 4-in-1 adapter is removed you can store the hose in standard 4-inch square bumpers. The RhinoFLEX 15’ sewer hose has a bayonet-style fitting that connects securely onto your sewer outlet and locking rings to ensure a secure fitting. A collapsible hose assembly extends up to 15-feet from your RV to the dump station, and the steel wire allows you to shape the hose so that it will stay put. On the other end, the 4-in-1 adapter fits any sewer connection and secures to your hose, eliminating the need for weights to keep it in place. The translucent elbow allows you to see when your tank is empty. When you are finished emptying your tanks and have rinsed out your hose, simply collapse the hose, secure the end caps into place to prevent unwanted dripping and store in your 4-inch square or larger bumper. If you ever need to replace your hose, the swivel fittings and locking rings are detachable and can be used again and again. The Rhino Tote Tank Kit is designed to make using your portable tote tank as easy and secure as possible. 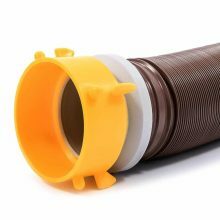 The bayonet ends on the 90 degree elbow and sewer hose attach to any lug fitting and create a secure, odortight connection. Each end features 4 bayonet prongs that create a positive locking action to secure to the lug fitting. The bayonet fittings swivel for easy connecting. 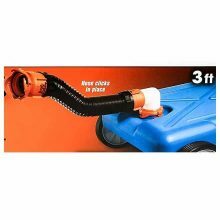 The low profile 90 degree elbow makes it possible to attach the sewer hose to your tote tank in a streamlined fashion to create downhill flow and to minimize kinking. The 90 degree translucent elbow is made from UV stabilized resin that will hold up even after years of use. The RhinoFLEX sewer hose is made of a heavy duty polyolefin and reinforced with steel wire. It is also collapsible, so you only have to extend as much hose as you need. Fittings on both ends feature locking rings to secure the fittings to the hose. Begin by ensuring that the fittings are securely attached to the sewer hose by checking that the locking rings are twisted tight against the fittings. Attach the bayonet fitting end of the hose to the sewer outlet on your RV. Simply line up the four bayonets with the lugs, and swivel the fitting to lock onto the lugs and into place. 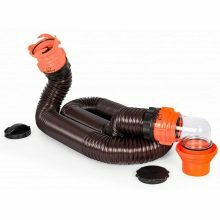 Extend as much of the sewer hose as you need to reach your tote tank, then attach the translucent elbow to the tote tank with the bayonet fitting. Always double check for a secure fitting on both ends of the sewer hose before beginning the dumping process. Once you are done, the RhinoFLEX Tote Tank Kit can be removed by swiveling the bayonet ends in the opposite direction and then immediately rinsed. 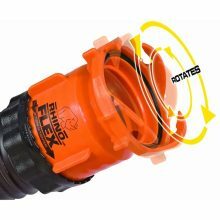 The RhinoFLEX Bayonet Fitting with Locking Ring is designed for use with RhinoFLEX sewer hose, and connects to any RV, lug fitting or dump tank. The four bayonet prongs and built-in gasket provide a secure, odor tight connection. Bayonet fitting swivels 360 degrees for easy connection, and the included locking ring is a non-permanent accessory, so you can use or remove it as needed. Stores in a 4-inch square bumper. The locking ring and the bayonet fitting are threaded in opposite directions and twist together. To securely attach the locking ring and bayonet fitting, twist the black locking ring in the unlock direction down the hose 5 or 6 inches. Then, screw on bayonet in the ‘tighten’ direction until it stops. Once the fitting is set, twist the locking ring back up the hose in the lock direction until the teeth at the top of the ring are firmly attached the fitting. There are arrows on each part indicating which direction to turn it. Always make sure to test the fittings and locking rings for a tight fit before emptying your tanks. 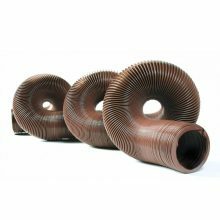 Heavy duty 20′ sewer hose is 15 mils of brown HTS vinyl with 3″ opening, created for the seasonal RVer who makes weekend trips during the camping season. Compresses to 32″ for storage. 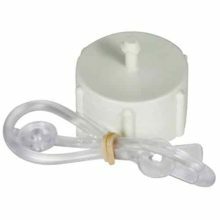 Camco replacement female dust cap with lanyard keeps dust and dirt out of your freshwater system. Comes with an easily attached lanyard to help prevent the loss of your cap. 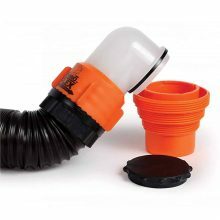 he Camco RhinoFLEX 45 Degree Sewer Hose Swivel Fitting securely connects to your RV waste valve fitting, creating an easier angle of access for emptying your black and greywater tanks. The four-prong bayonet fitting securely attaches to any lug fitting, and the lug end is compatible with any bayonet fitting. Each end swivels for easy connection and features a built-in gasket for an odor tight connection. The 45˚ elbow is clear, so you can see when your tank is empty. The 45˚ Sewer Hose Swivel Fitting is UV-resistant and made in the USA. The bayonet end of the 45 degree fitting easily swivels and securely attaches to the standard lug fitting located on your RV or trailer’s waste valve. The 45 degree elbow will help provide an easier angle of access for emptying your tanks. The lug end is the same as the lug fitting on your RV’s waste valve, so you can attach your sewer hose to the lug end as usual. 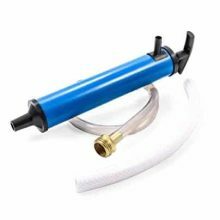 Use the Camco RV Hand Pump Kit to antifreeze directly into your RV waterlines and supply tanks. Kit includes flexible connecting line with city water connection. 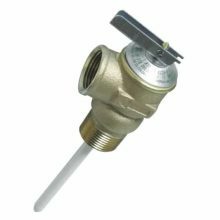 Camco’s Temperature and Pressure Valve with 4″ Probe will help protect your RV or home water heater from excessive temperature and water pressure. It’s factory set at 150 PSI and 210F. It features epoxy-coated probe to prevent corrosion buildup.